Home >Teams Item > Brian Y. Chou, Esq. 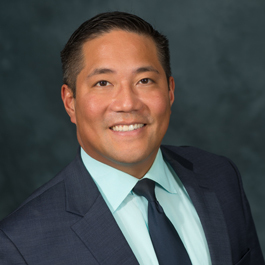 Brian Y. Chou is an Associate Attorney at the firm of Barth Calderon LLP and his practice focuses on asset protection, estate planning, and business succession planning. Mr. Chou assists clients in all stages of life, from the young professional couple that is concerned about estate planning for their minor children, to the wealthy real estate investor who wants to insulate himself and his properties from lawsuits, to the successful business owner who is agonizing about how to transition his company to the next generation. Mr. Chou understands that coming to grips with an impending lawsuit and confronting one’s mortality are typically not high on most clients’ list of things to do and his goal is to make the planning as accessible, digestible and (dare we say it?) enjoyable as possible. Mr. Chou seeks to build lifelong relationships with his clients to ensure that as their personal lives and legal situations evolve, their planning continues to accurately reflect their wishes. In addition to working with clients to protect and transition their assets, Mr. Chou actively seeks to be a resource to his clients in all aspects of their lives. He encourages his clients to contact him with all manner of needs, whether it be a plumber to fix a clogged drain, qualified employment counsel to address a nasty workers compensation claim or anything in between. An avid public speaker, Mr. Chou has presented to numerous groups all over Southern California, including Pepperdine University, University of California Irvine, Cal State Long Beach, the Planned Giving Roundtable of Orange County, and the California Society of Tax Consultants. He is also especially proud of passing the California State Bar Certified Specialists Exam for Estate Planning, Trust & Probate Law. For Mr. Chou, establishing a connection with the community is paramount. To this end, he is active in a number of organizations, including the Estate Planning & Trust Council of Long Beach, Provisors, Business Networking International, and Comprehensive Child Development, a non-profit providing early childhood educational programs for low income families in Long Beach. Before establishing his estate planning practice, Mr. Chou worked for a law firm in the Inland Empire specializing in insurance defense and construction defect litigation. Prior to that, he clerked at law firms in West Los Angeles where he participated in the practice of Workers Compensation litigation and general corporate law. He is committed to using his broad range of experiences to build relationships and effectively represent his clients in a way that is thoughtful and pleasant for all parties involved. In addition to his professional achievements, Mr. Chou can speak Mandarin Chinese and can understand Cantonese. His interests include: surfing, basketball, tennis, jogging, drawing and cooking. Click This Link to Check Out Brian’s Blog.